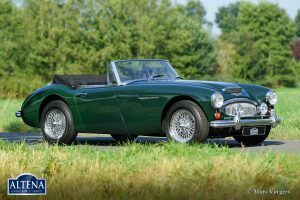 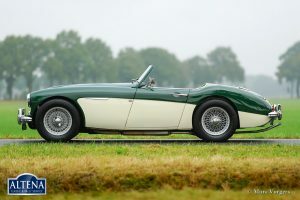 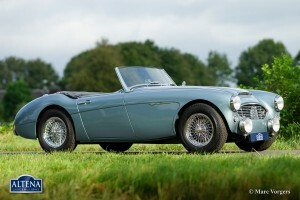 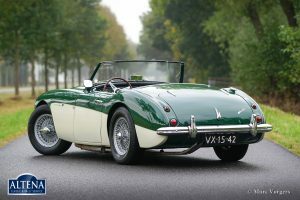 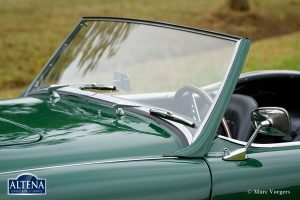 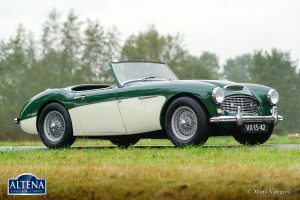 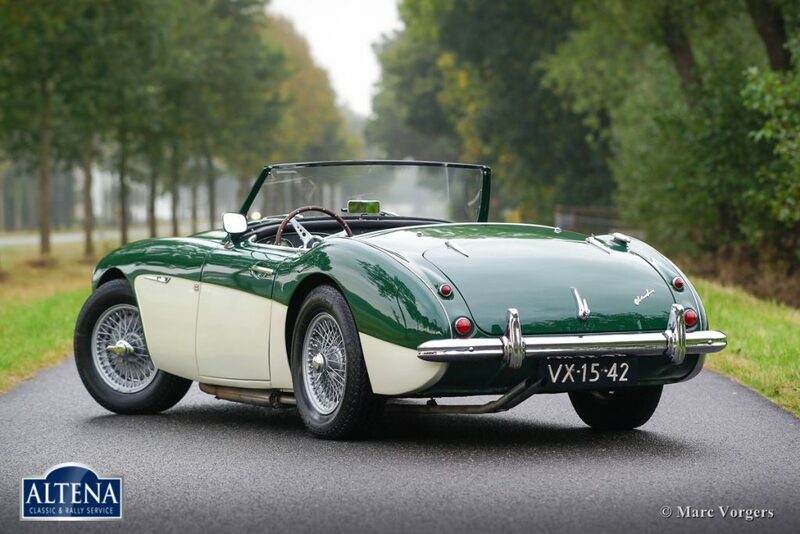 Austin Healey 100/6 ‘two-seater’, year 1957. 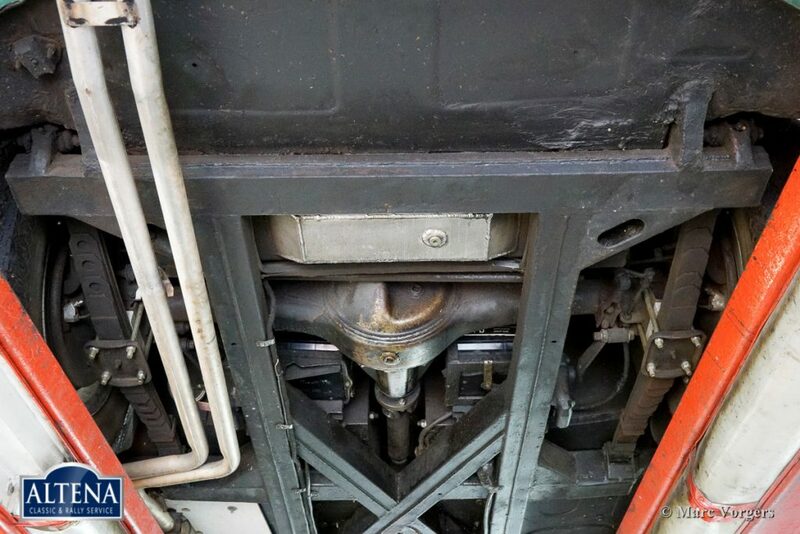 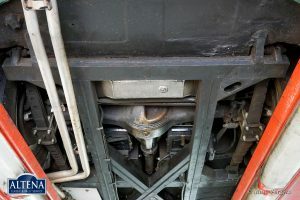 Chassis number BN4-L/349XX. 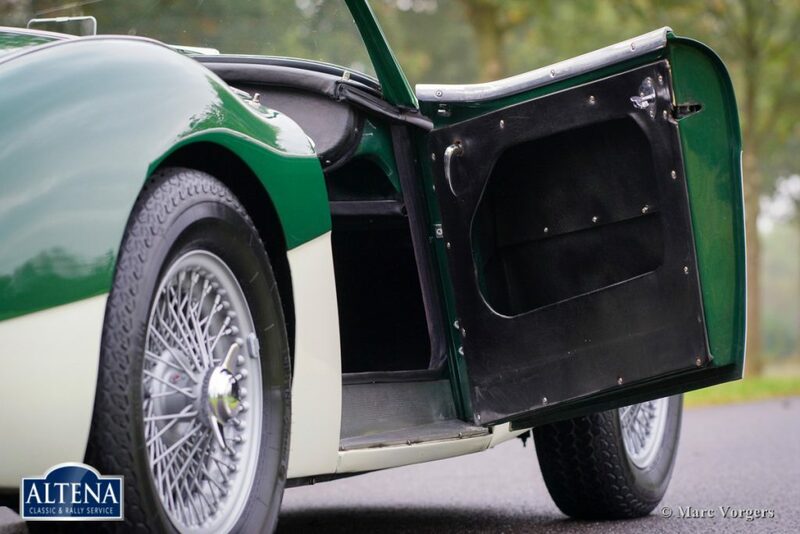 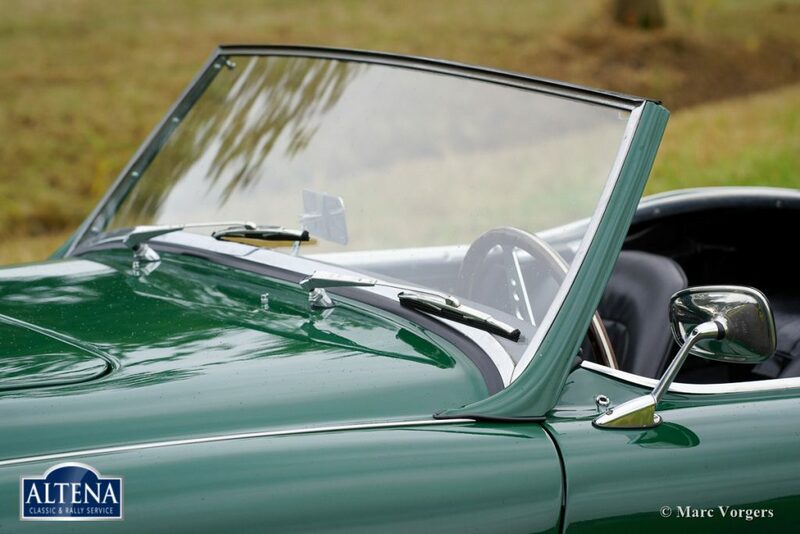 Colour British Racing Green over crème white. 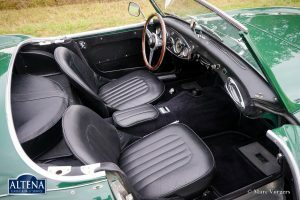 Black leather interior and black carpet. 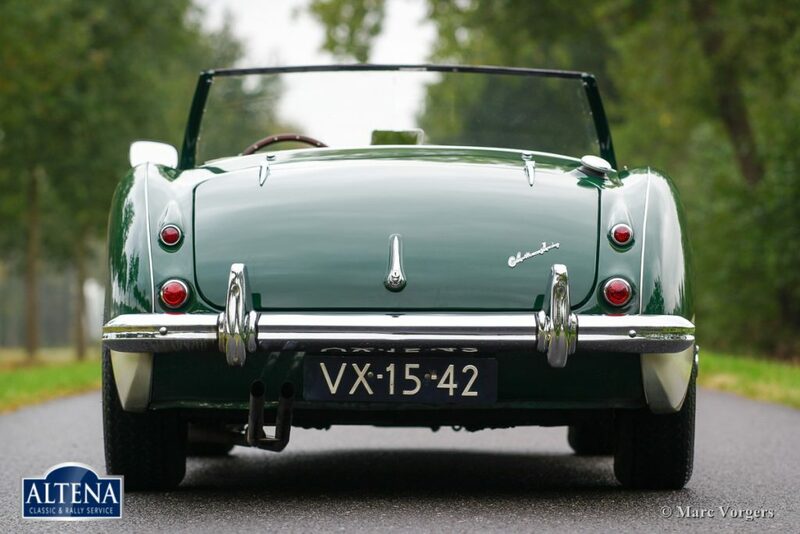 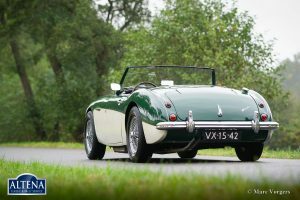 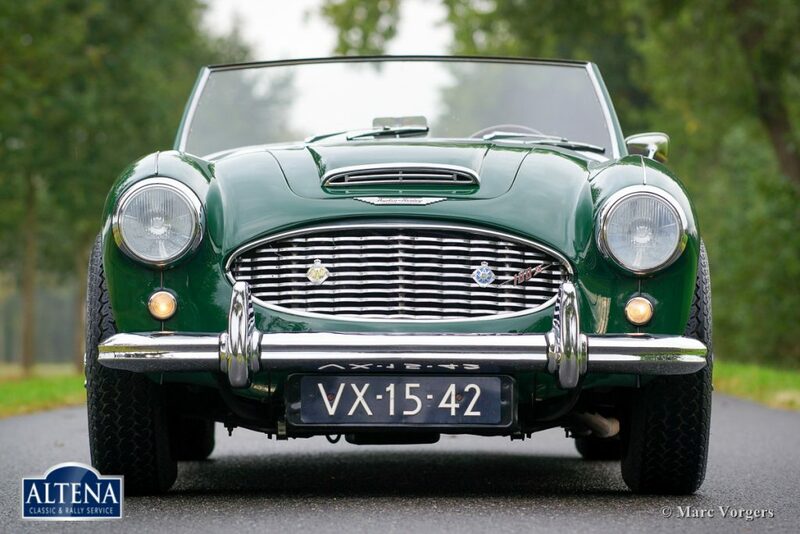 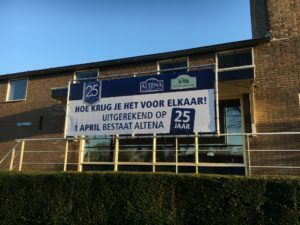 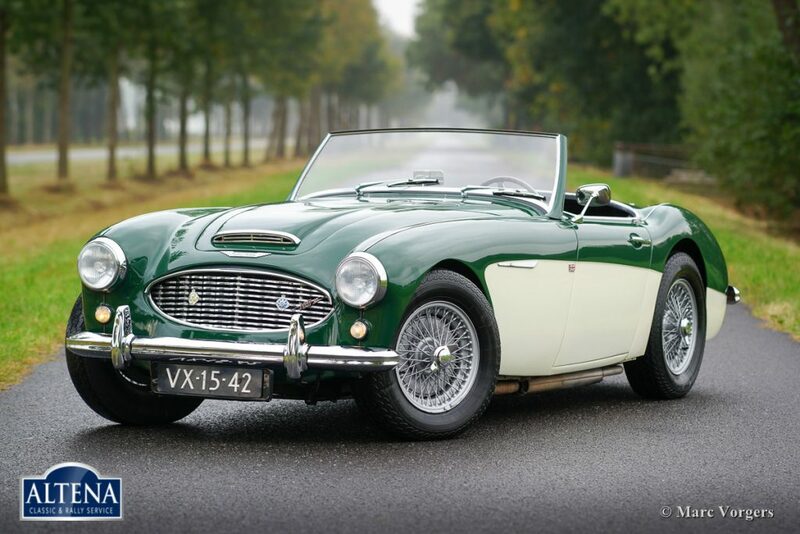 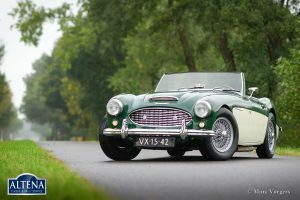 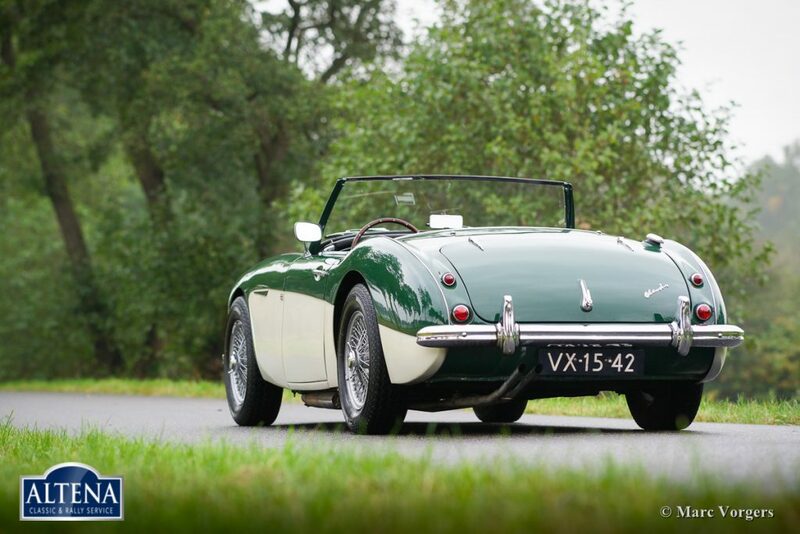 This wonderful ‘100-SIX’ two-seater was sold new in the Netherlands; it still has the old registration number VX-15-42 and it comes with a copy of its first Dutch registration document. 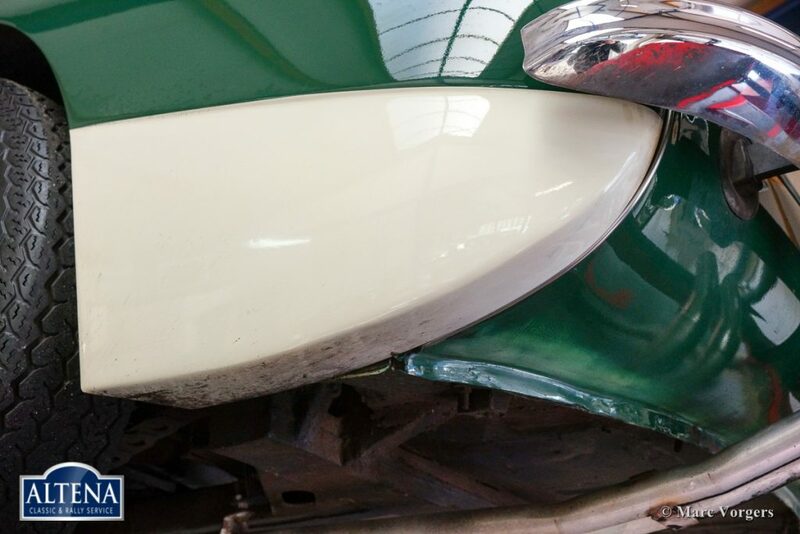 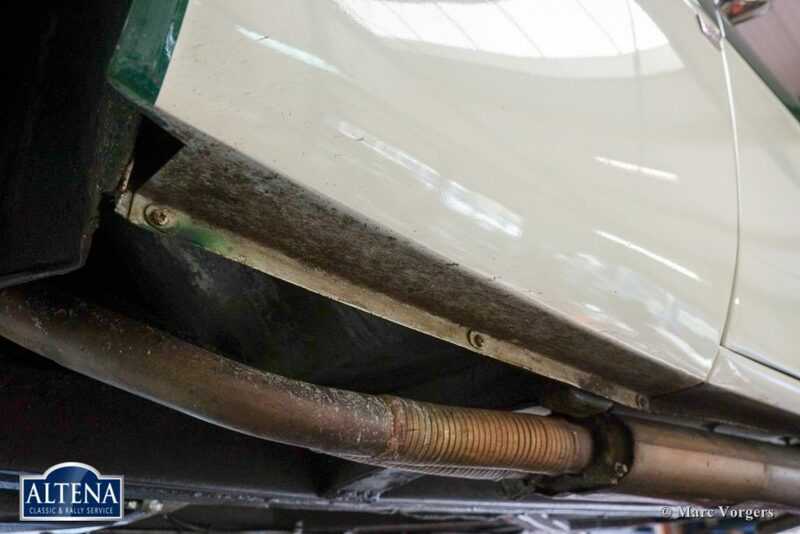 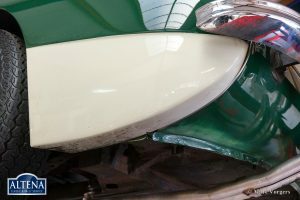 In the years 2004/ 2005 the car was given partial restorations, amongst others the bodywork was given beautiful new paint. 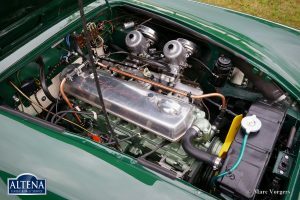 This ‘Big Healey’ is in good to very good driver condition and the car drives and steers magnificently! 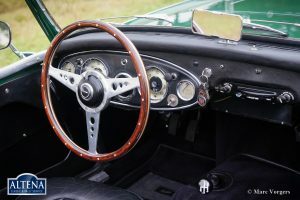 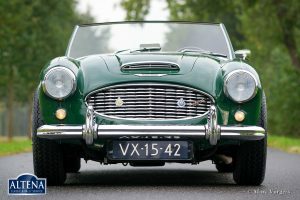 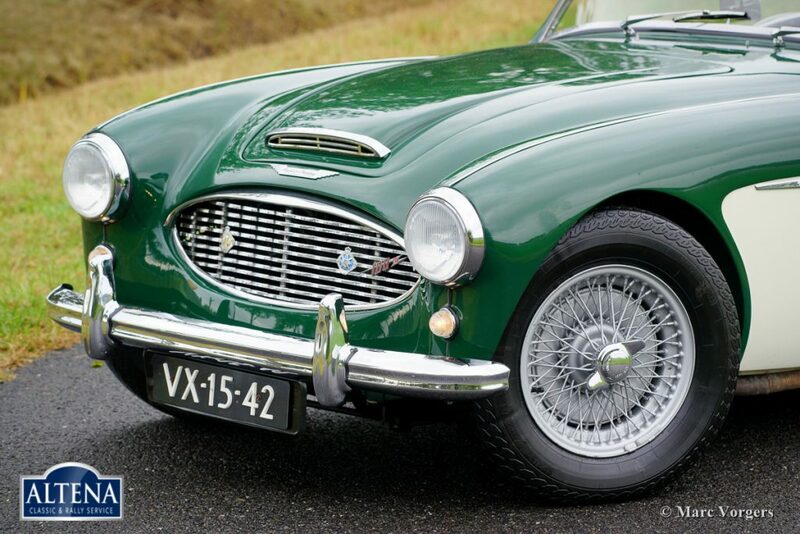 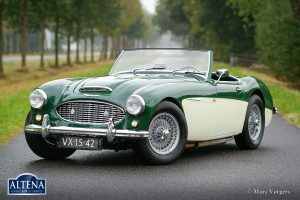 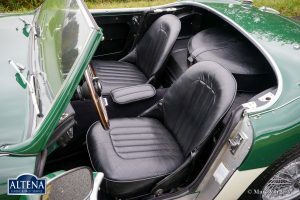 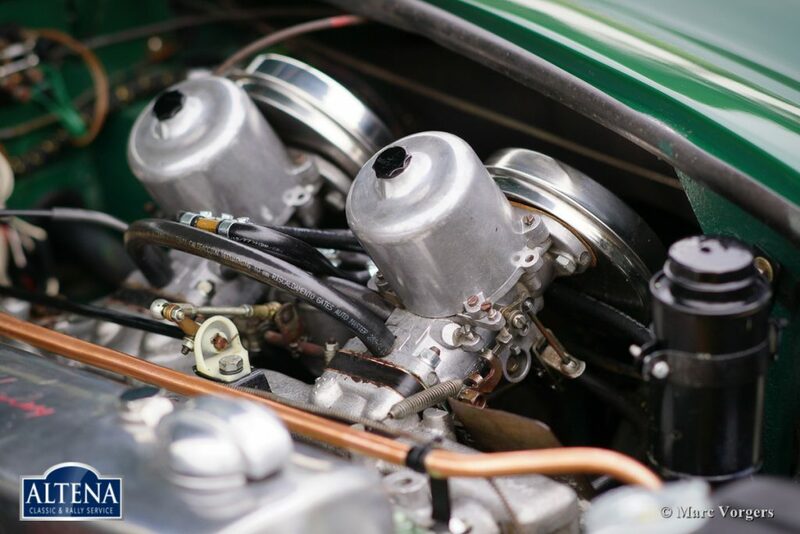 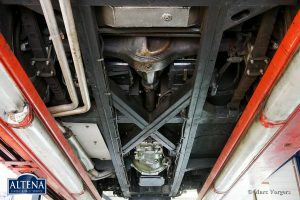 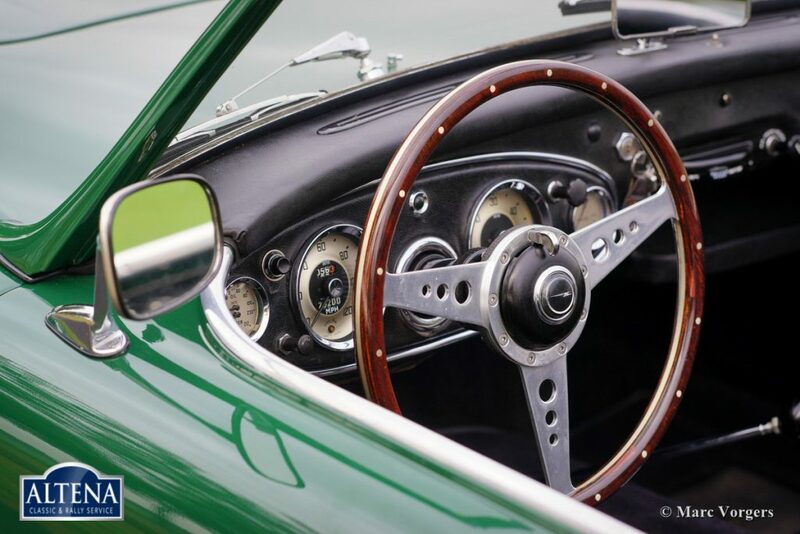 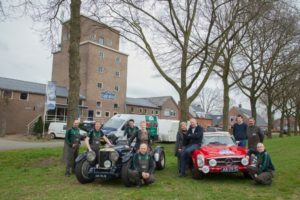 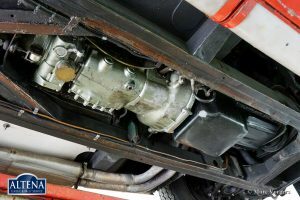 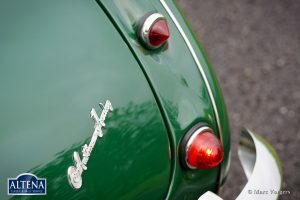 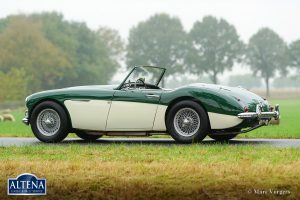 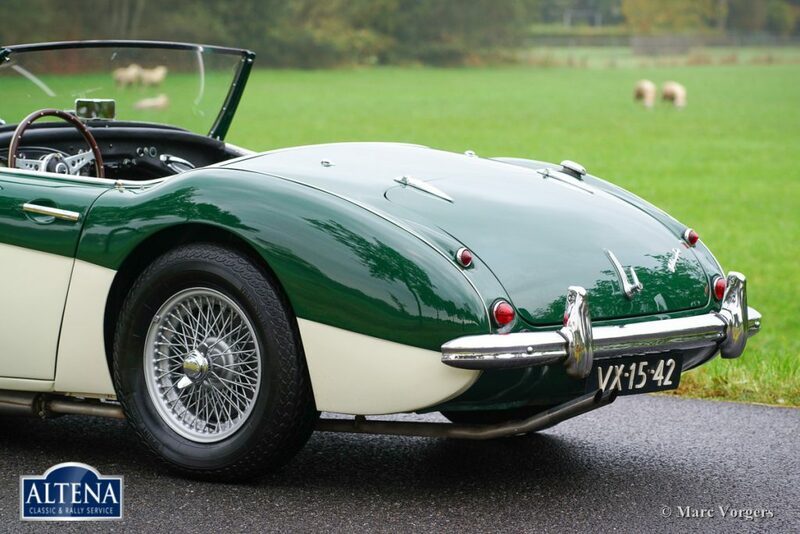 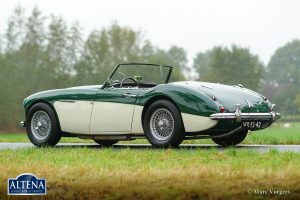 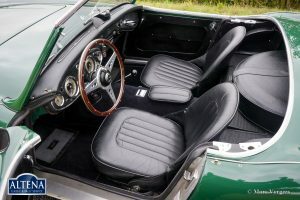 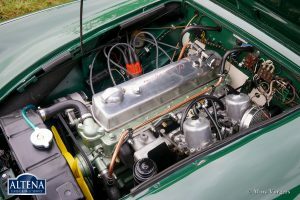 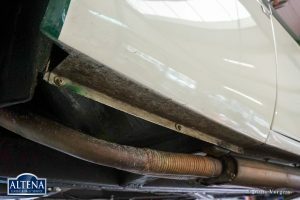 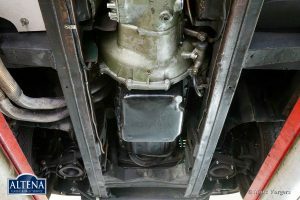 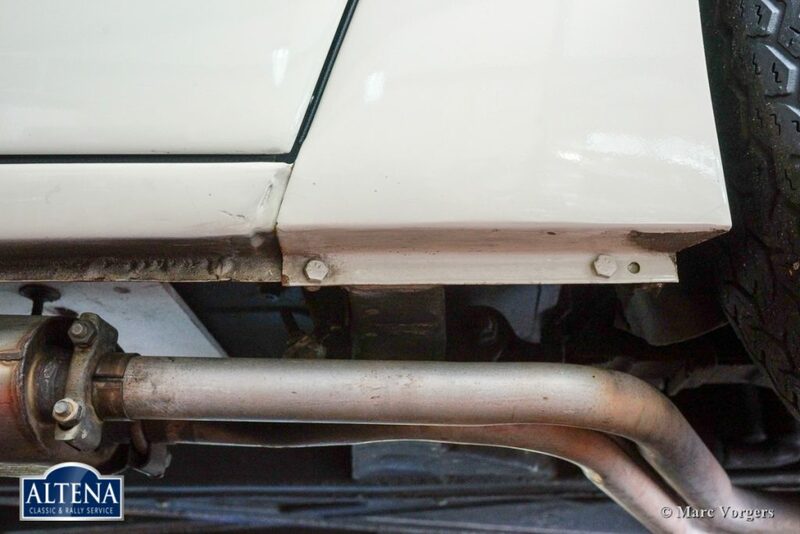 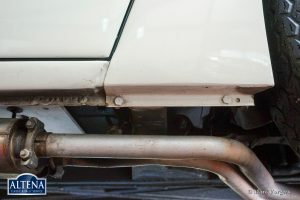 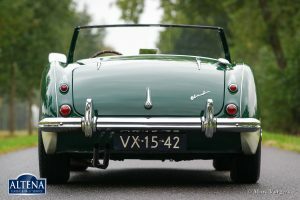 The car features a Stainless-Steel exhaust system, 123 electronic ignition, an AC generator (alternator), bigger carburettors, a 60-litre aluminium petrol tank, an electric cooling-fan, beautiful 72-spoke wire wheels with Vredestein Classic 185/15 tires, and, last but not least, a delightful Moto-Lita sports steering wheel with wood rim. 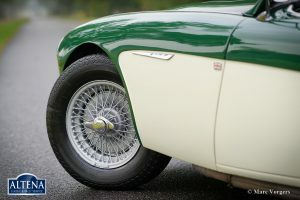 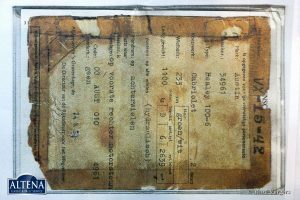 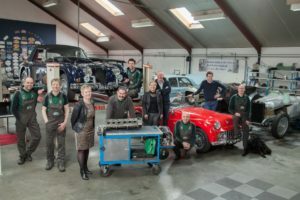 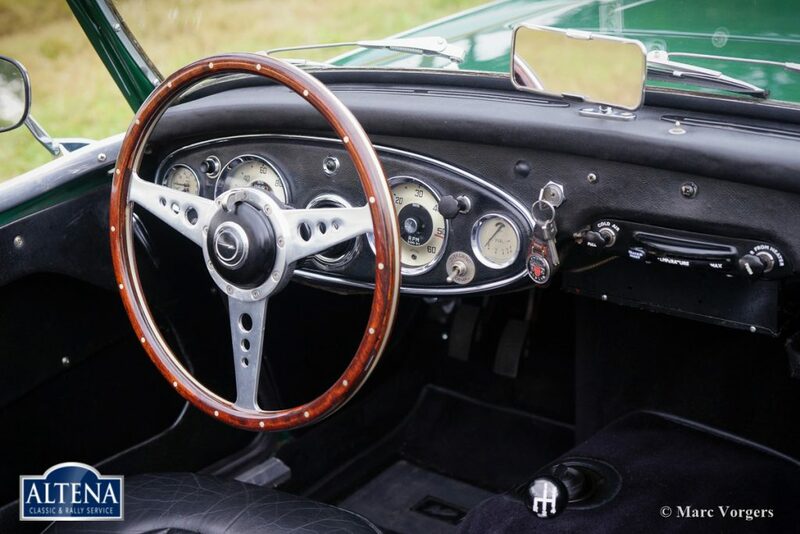 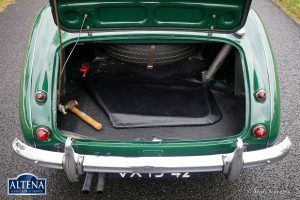 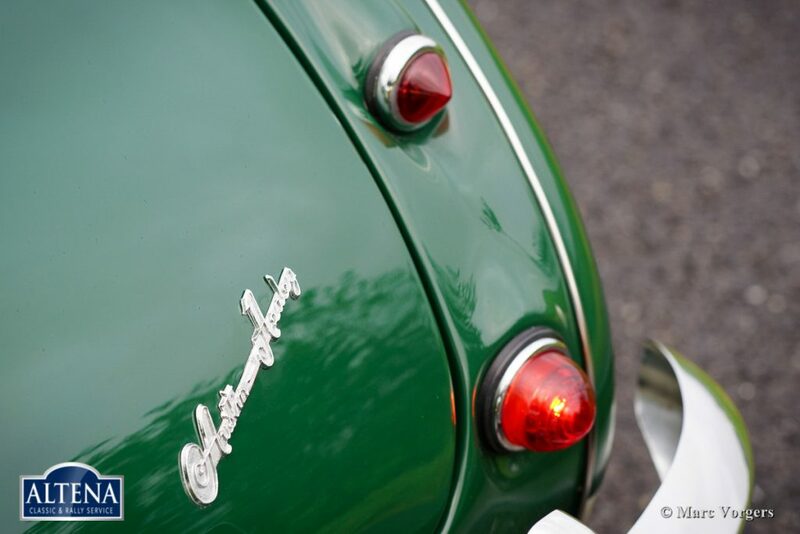 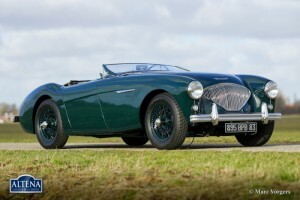 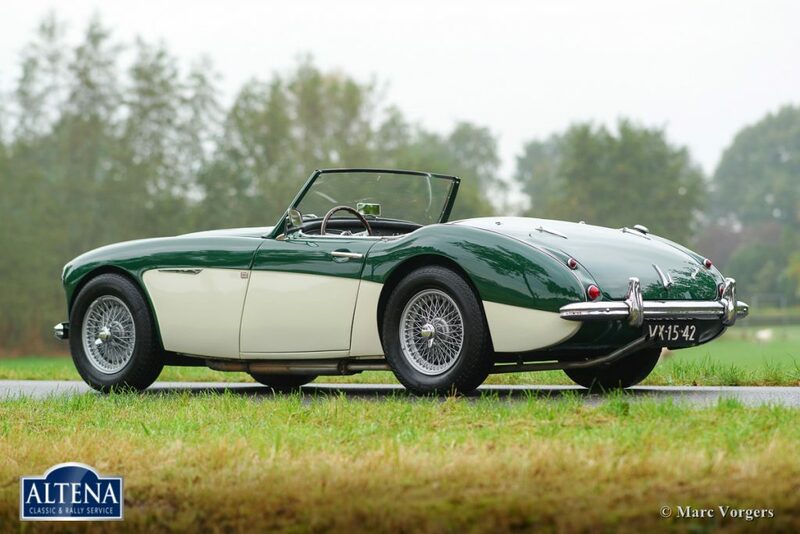 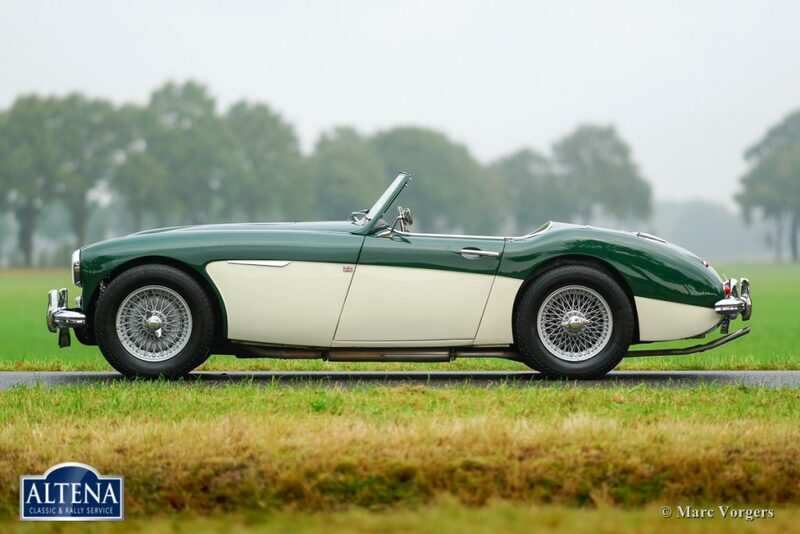 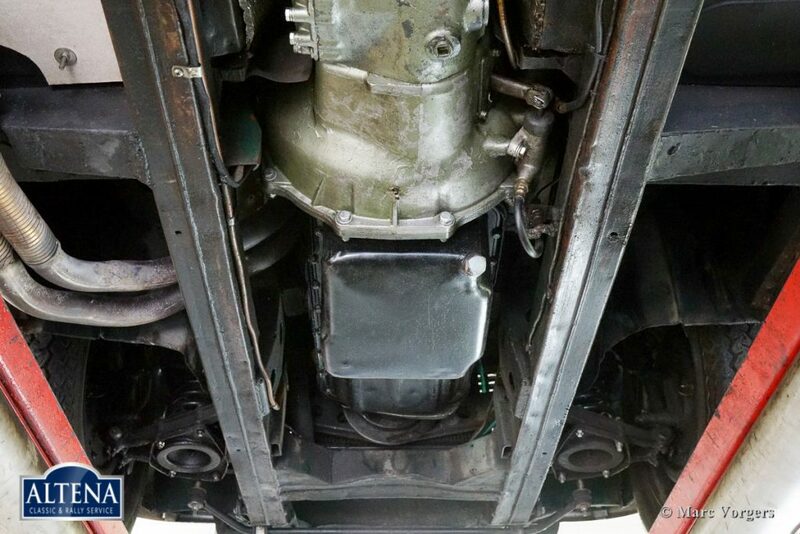 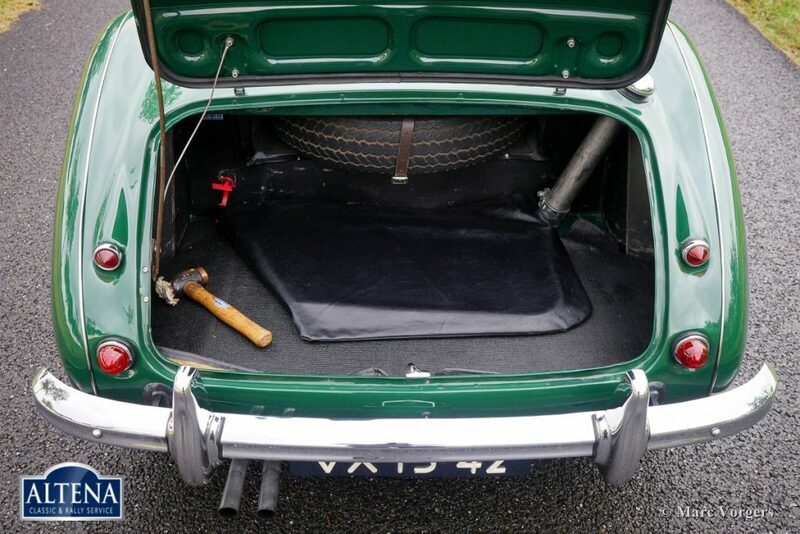 This Healey comes complete with a Heritage certificate. A rare and sought after two-seater!